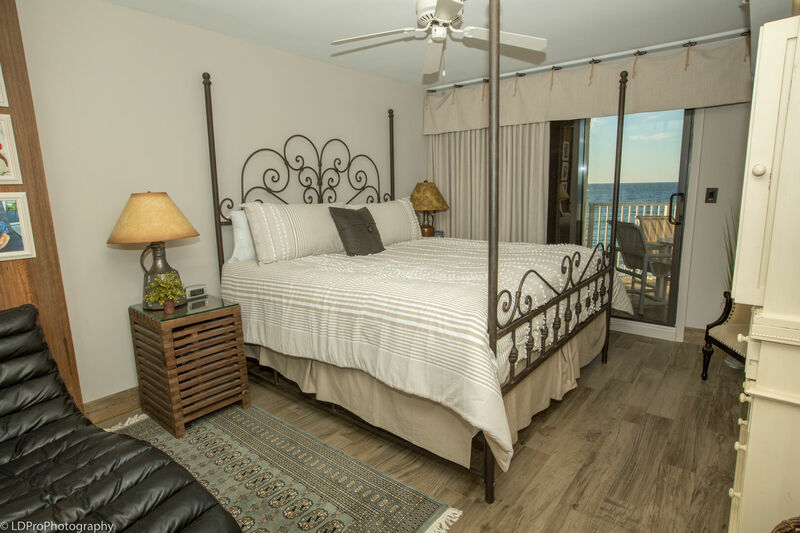 Inlet Reef 402 - Holiday Isle Properties, Inc. 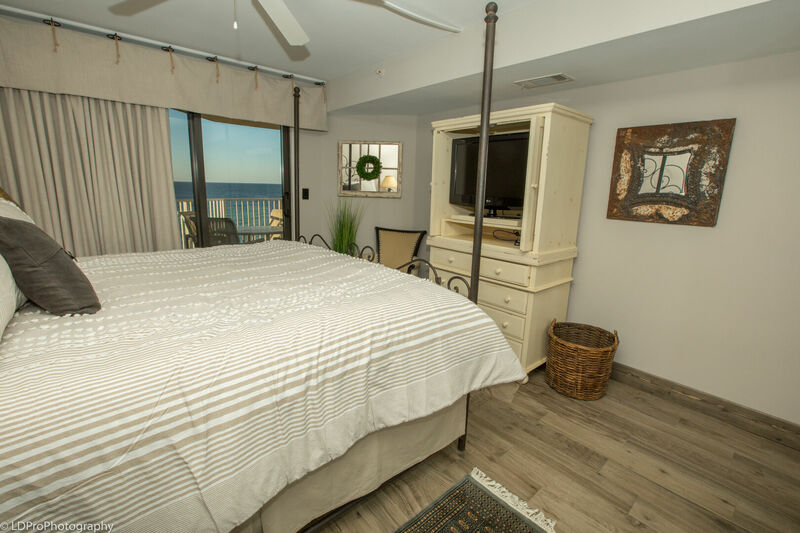 Welcome to Inlet Reef 402! 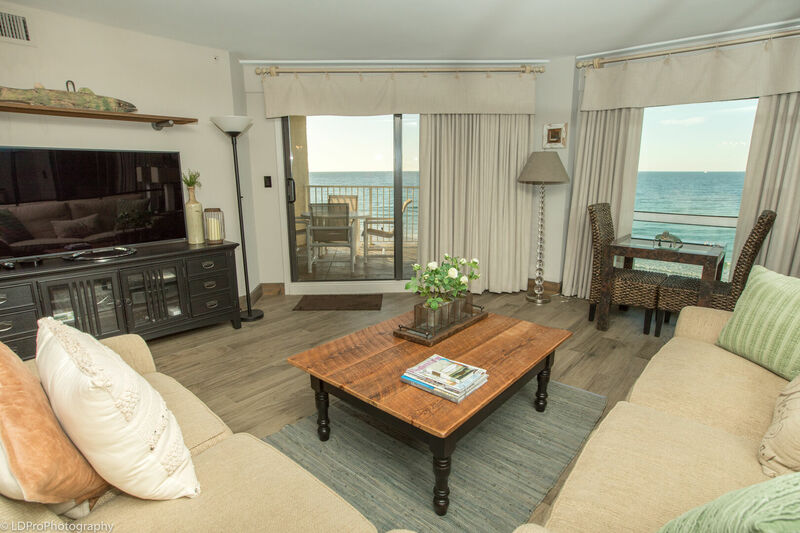 This 2 bedroom/2 bath condo is the perfect beachfront getaway for a family of 4! 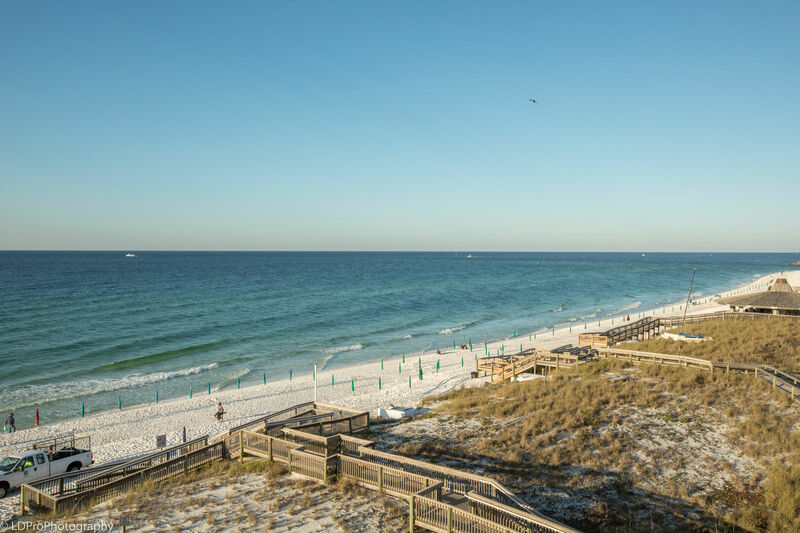 This unique Inlet Reef condo offers a modern twist on your typical beach condo. 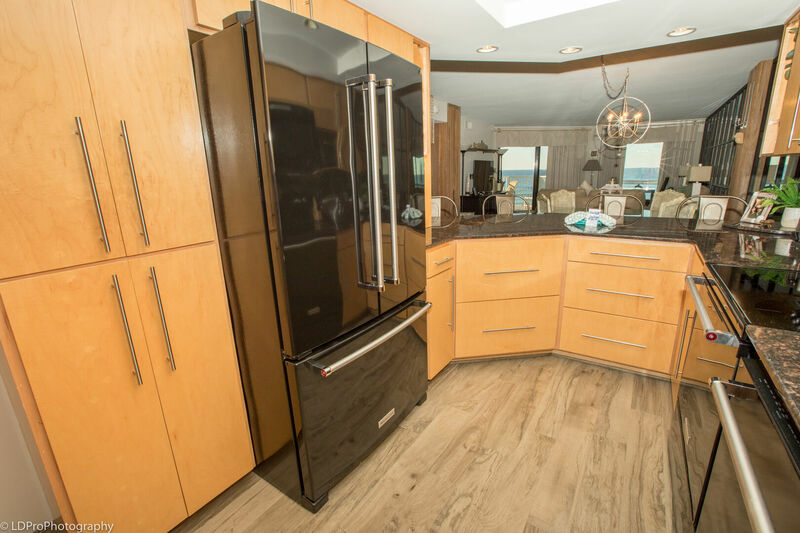 When you enter this 4th floor condo you are greeted by amazing ocean views and beautiful interior decorating. 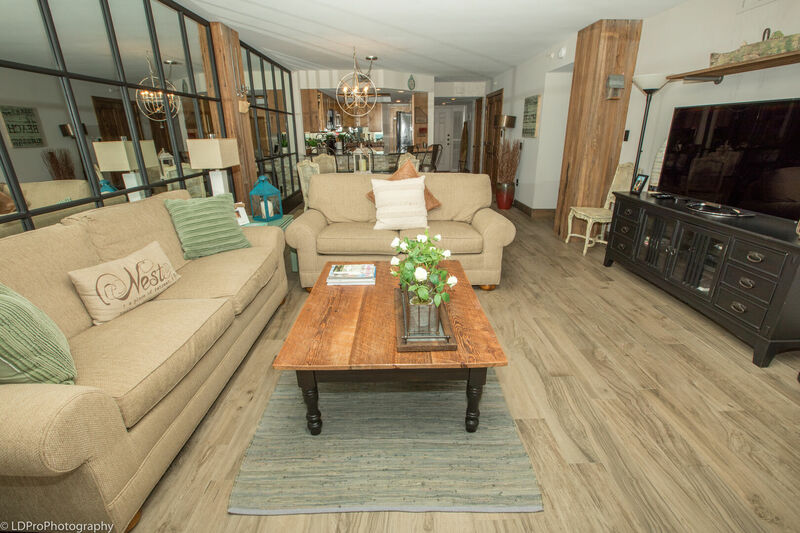 The open living room and kitchen allow for the conversation to flow throughout the living space. 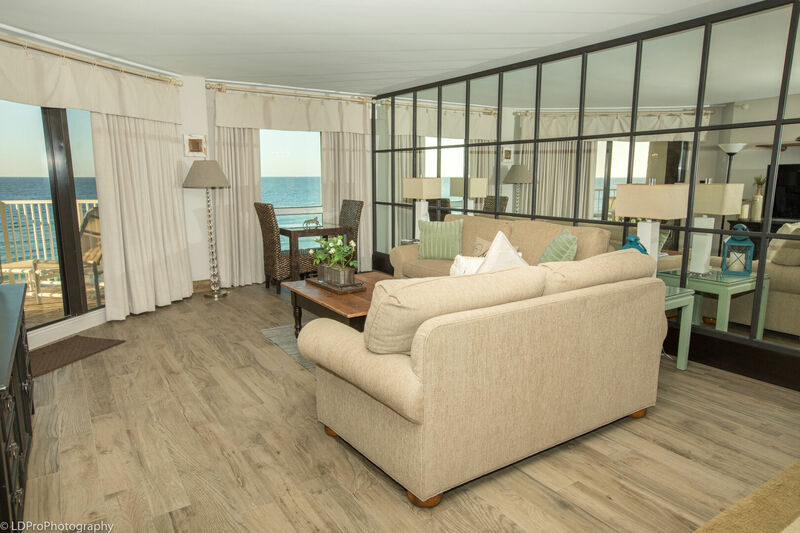 The living room is fitted with plenty of comfortable seating to enjoy the large Flat Screen TV or the beautiful Gulf view. 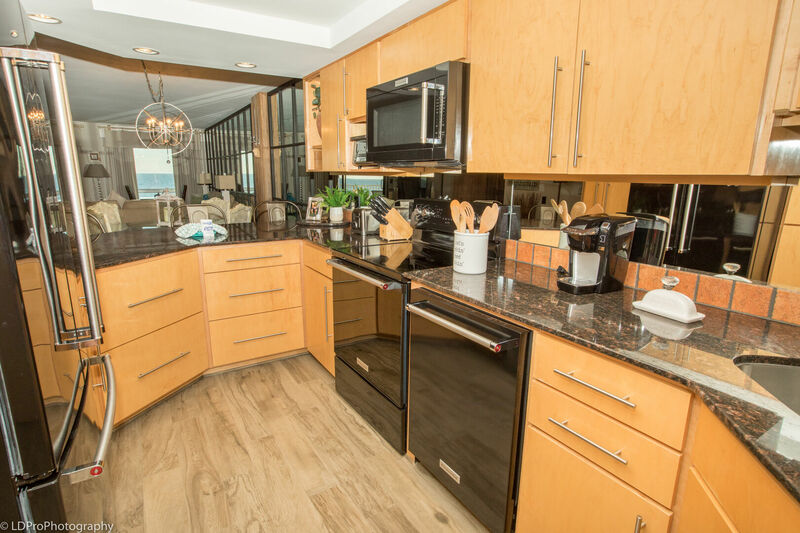 The kitchen is spacious and fully stocked with pots, pans, and full size appliances to make cooking a breeze. 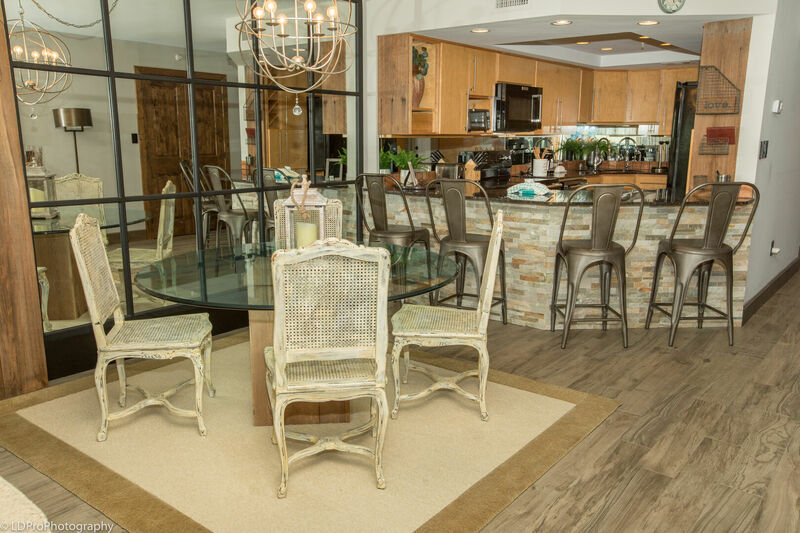 The dining table is situated perfectly between the kitchen and living room and offers seating for 4. 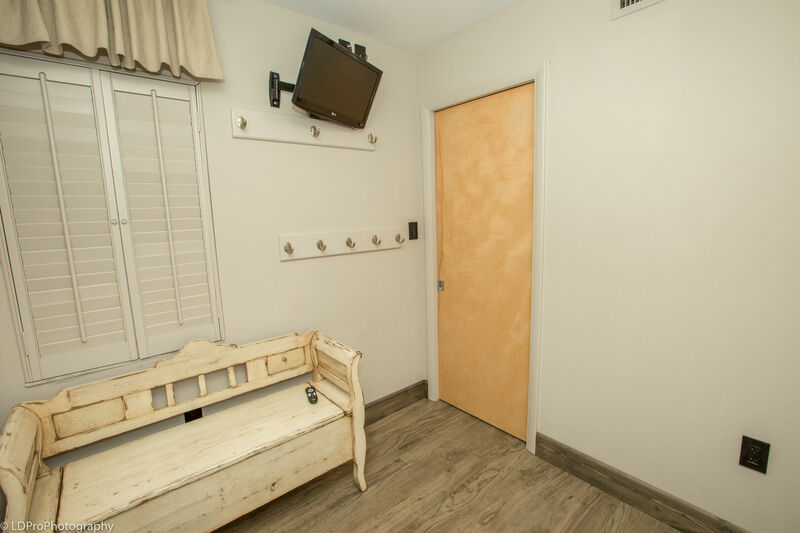 There is additional seating at the bar to enjoy a snack or a drink. 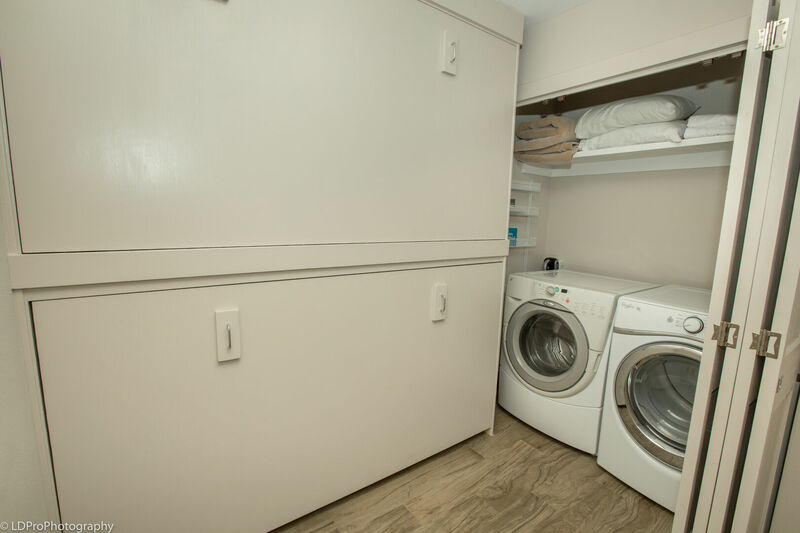 This condo also has a full size washer and dryer, so no worrying about coin laundry. 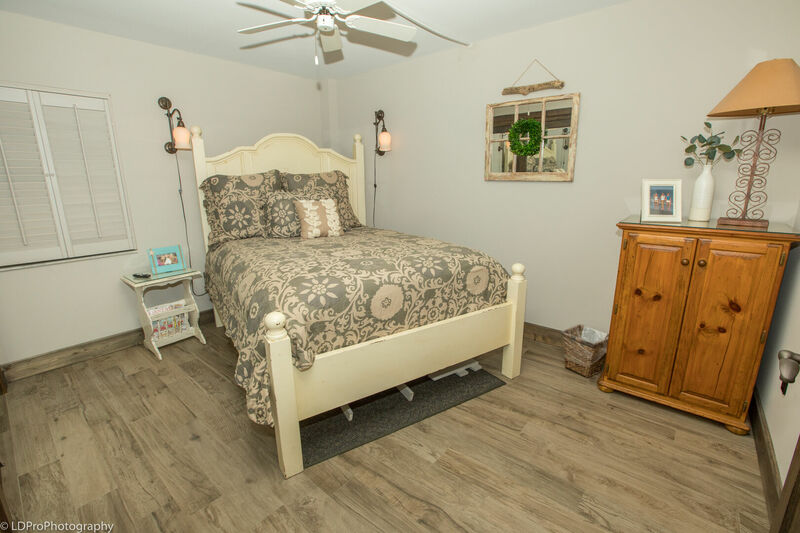 The guest bedroom is offers a Queen size bed, so no one gets stuck in a Twin Size bed. 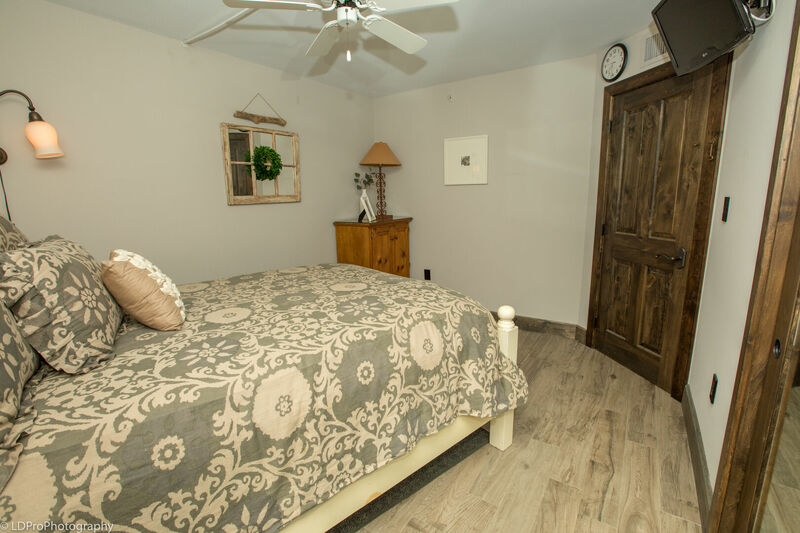 The guest room is accented in warm wood tones and has a ceiling fan and flat screen TV. 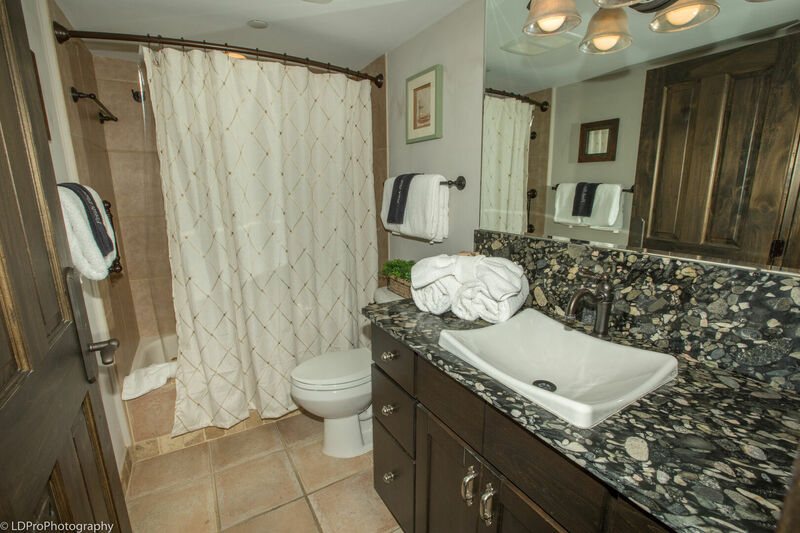 The guest bathroom features a combination tub/shower. 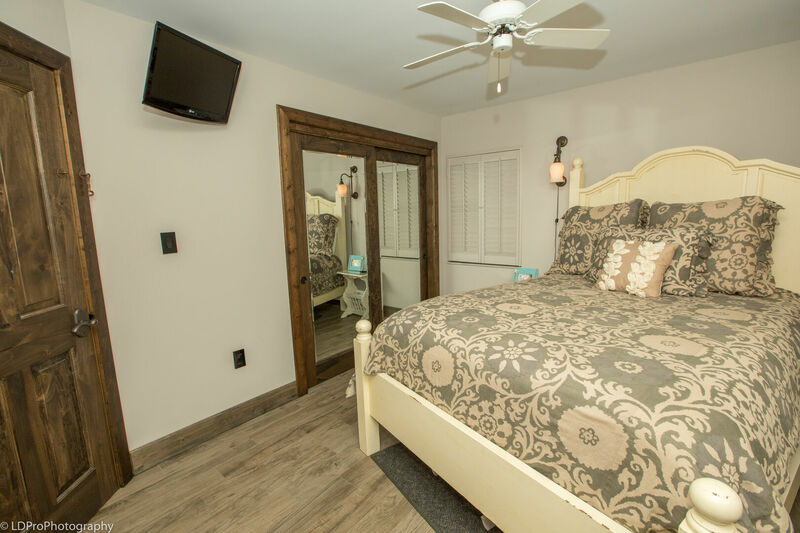 The Master bedroom features a King size bed, ceiling fan, flat screen TV, & balcony access. 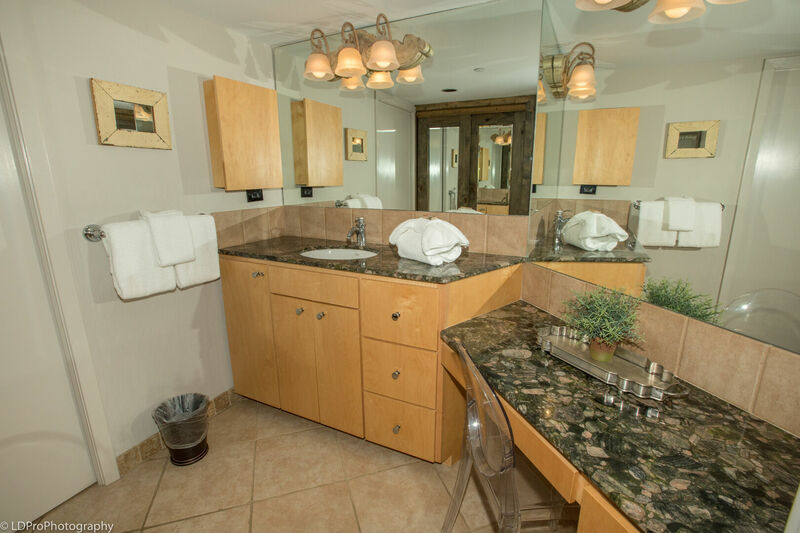 The adjoining Master Bathroom has ample counter space for 2 to get ready at the same time. 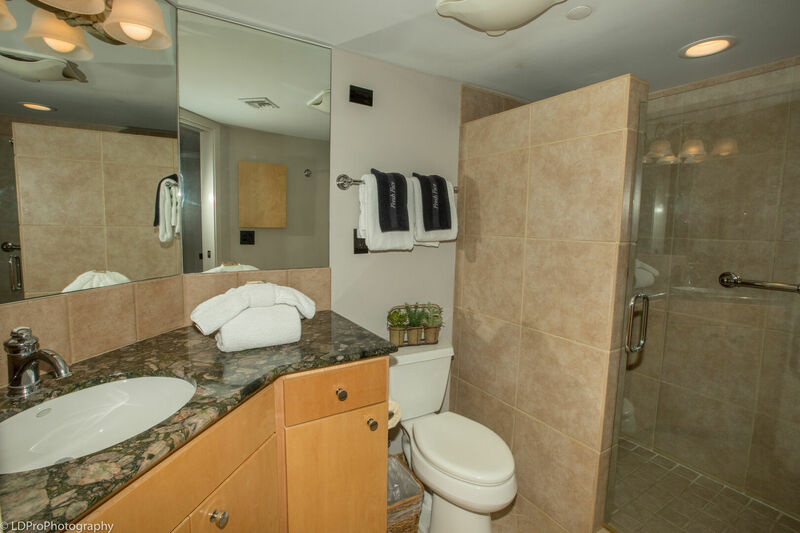 The bathroom offers a large walk-in shower as well. 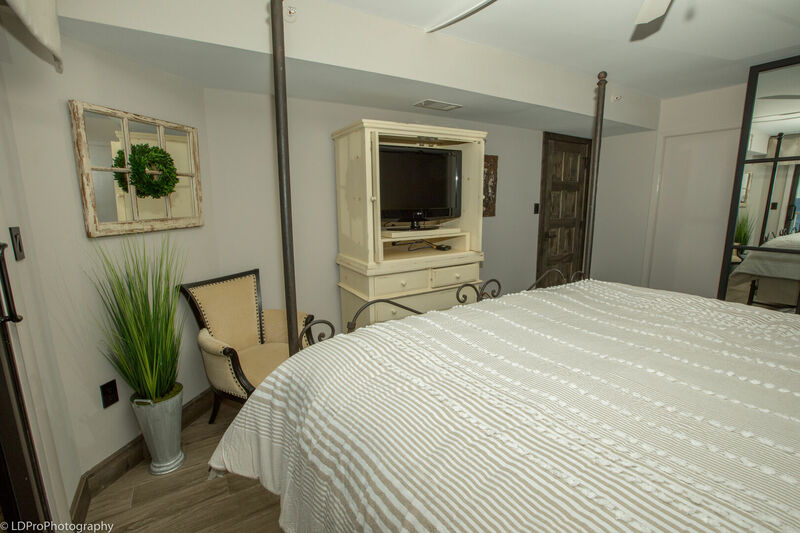 The balcony is accessible from the large floor to ceiling doors in the Master Bedroom & living room. 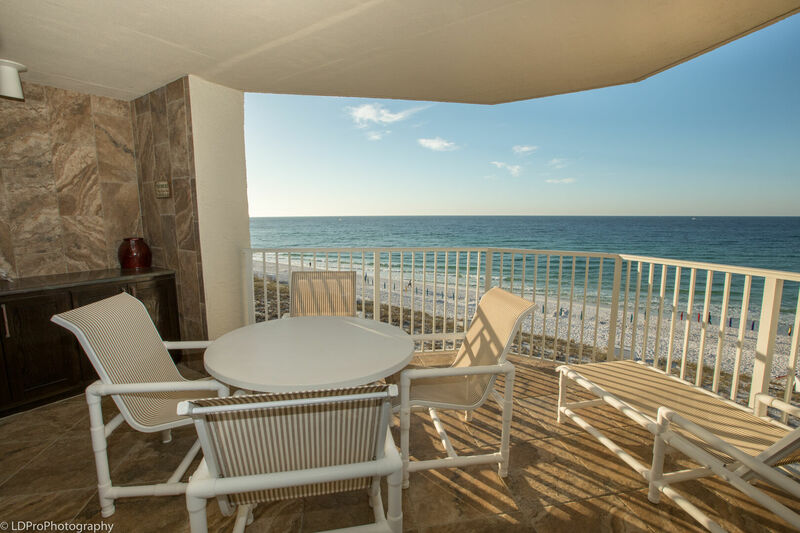 The balcony furniture is perfect for your family to enjoy a meal or looking for dolphins in the Gulf. 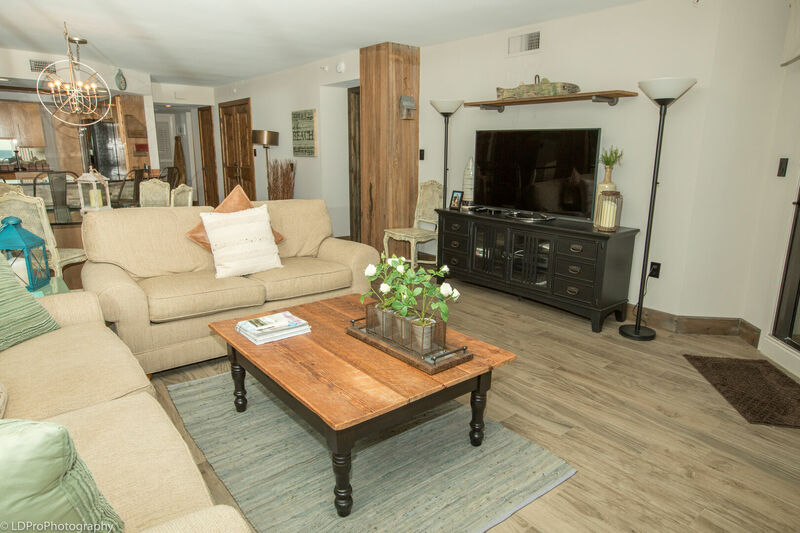 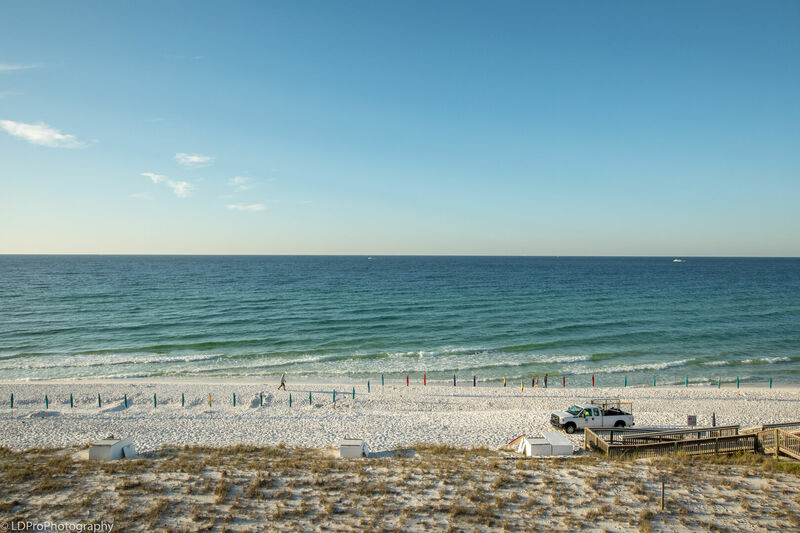 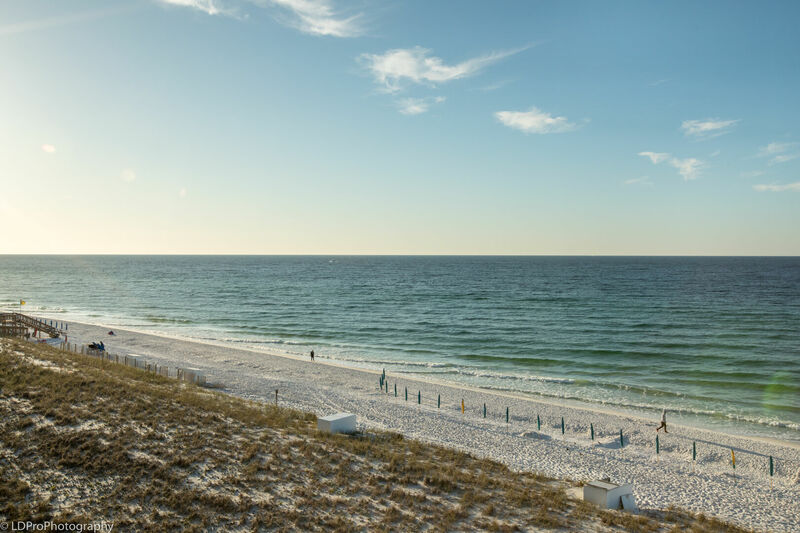 This condo has internet access and seasonal beach service as well!